Leading heavyweight contender Dillian ‘The Body Snatcher’ Whyte has slammed Tyson Fury for choosing to face virtual unknown Tom Schwarz in his next bout. Fury, 30, announced the fight with the undefeated but unheralded German over the weekend. The fight will represent Fury’s ESPN and Las Vegas debuts. Prior to Fury signing a lucrative deal with US broadcaster ESPN the self-styled ‘Gypsy King’ was widely expected to pursue an immediate rematch with WBC heavyweight champion Deontay Wilder after their thrilling December encounter that most pundits believed Fury deserved to win despite suffering two knockdowns late in the fight. Britain’s Whyte, who is also in negotiations with ESPN and has long been chasing the big names in the division, criticised Fury’s decision to seek out an easy mark in the 24-year-old German. 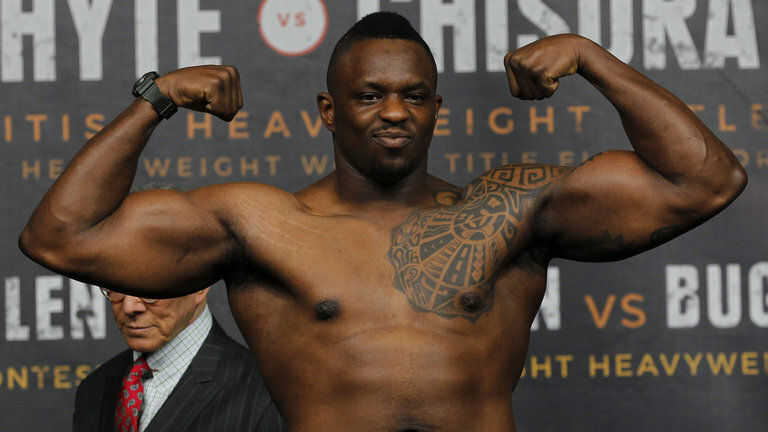 “I’d fight Fury at the drop of a hat,” Whyte told iFL TV. “F****** b*******. He should be ashamed of himself fighting Tom Schwarz. You’re lineal heavyweight champion, why you fighting Tom Schwarz? “There’s better guys out there for you to fight. Why the hell are you fighting Tom Schwarz? “You say you’ll fight anyone, anytime, anywhere. Why you fighting Tom Schwarz? I get it, he just had a hard fight against Wilder and he wants an easier fight. “But Tom Schwarz is a joke. Tom Schwarz is nowhere near Fury’s level.